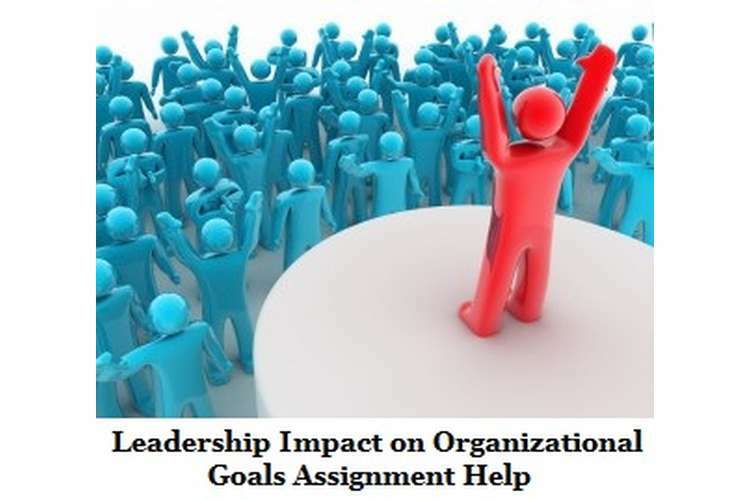 This Leadership Impact on Organizational Goals Assignment Help discuss ledership and organizational goals relation. 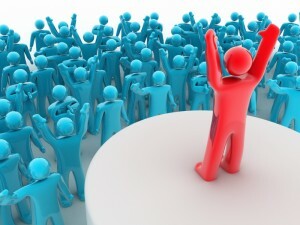 Effective leadership is very important for achiving organizaional goals. In today’s era every business is facing the problem of quality leader and thus they are not able to manage the business appropriately. Organization is not getting the proper leader or less experienced candidates by which management is facing the problem of lack of leadership in the organization and not able to achieve the organizational objective. Leadership is the most significant part of the organization to achieve the management goals. Every organization need the well trained and effective leader for the organization by which management can easily control the employees in the organization but due to lack of skilled leaders in management is not able to control the employees (Daft, 2014). In order to carry out research the focused topic is “Impact of leadership on organizational objective”. The research would be done on the leadership topic by which management can easily found the problems related to the leadership. What are the challenges faced by organization for effective leadership? What are the impacts of leadership on the organizational objective? What are the improvements to be made? This kind of questions helps the organization to identify the problems faced by the employees and organization while achieving the organizational objective. Research methodology is simple way in which researcher carry out the research with the reason to reach suitable conclusion. In context of present research the researcher would identify the data and information from different sources which are secondary in nature. The data would be collected from various secondary sources like books, journals, online articles, newspaper, online libraries etc. This kind information are being evaluated by the by the renowned researcher in their research with respect to the same research topics. This method would provide the truthfulness and reliability among the users as it includes the sources that are being already done the researchers. The study would be based on the quantitative data and it includes subjective information which helps the researcher to don the research in best and effective way. The study would also include a principled consideration that ensures the flexibility of the goals and authenticity of the information throughout the flow of research (Mackey, and Gass, 2015). Qualitative Method: This method of analysis assists the researcher in achievement the experience and the perspectives of different individual related to the subject matter. It aids in getting the reliable and appropriate amount of information that respect to the related topic. This method helps the researcher to collect the data which is being already collected with any other researcher that is expertise in that field. The method is focused on the already collected data or secondary data. Quantitative Method: The Quantitative method is helps the researcher to collect the statistical data that could present with the help of charts and graphs in the whole study. According to this method the data could be calculated as per the requirement or through the desired goals (Gordon and Rajagopalan, 2016). Thus, with the aim to complete the research efficiently the researcher would collect the secondary data and complete the secondary research and data would be collected through secondary sources. As this research is being depends on the secondary sources and that contains wide range of opinions and perceptions for the selected topic “leadership Impact on organizational objective”. The researcher would include different aspects that are being examined by the well known researcher in their past studies and it would also be examined in the present research. In addition to this, it has been seen that the researcher could find some of the barriers while carrying out the study specifically. The researcher might not be able to find appropriate amount of data about the selected topic and confine the facts in the same. The secondary sources might be on expenses and could not be accessed by the researcher due to the limited resources (Beck and Cowan, 2014). The current research would be assisting the readers with the facts and information about the different aspects of the leadership in the organization helps the management to solve the issues related to the leadership. It facilitates the management to put the efforts in the development of organizational leadership and provide the data of past and present data that would be collected by the past researcher in the organization. The research helps the readers to identify the different problems that are being faced by the organization in context of the leadership. It describes the different factors of the leadership that affects the organizational objective. The research depicts the importance of skilled leader in the organization by which management can operate the different departments in the organization. The researcher would collect the data from the secondary sources and describe the challenges with respect to the subject matter. In order to carry out the research effectively the researcher identifies the different sources of the secondary data and tries to collect them from the different secondary sources. The research is quantitative in nature and helps the readers to solve their purpose in one study. Leadership is the important part of the organization and that plays vital role in the achievement of the organizational goal. The researcher would collect the data from secondary sources and that would specify the challenges with respect to the subject matter. Daft, R.L., 2014. The leadership experience. Cengage Learning. Gordon, E.W. and Rajagopalan, K., 2016. New Data Collection and Analysis Methods Offer Powerful Insights into Performance. In The Testing and Learning Revolution (pp. 147-168). Palgrave Macmillan US.